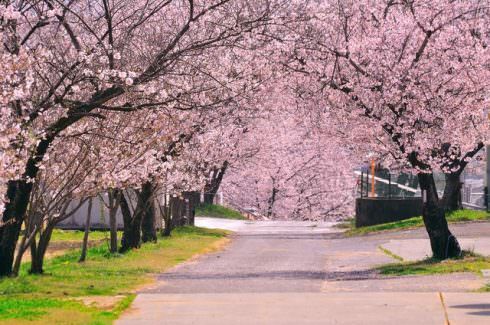 Visitors can enjoy strolling among the approximately 1,000 cherry trees (800 Prunus yedoensis and 200 double-flowered cherry trees) with the dairy cows that graze among the trees. Take the Tokushima Bus47 at JR Itano Sta. (approx. 20 mins). Get off at the bus stop "Kajiyahara " then walk north for approx. 10 minutes.